After someone breaks into Luis Delgado’s (Lou Diamond Phillips) home and kills his wife, Luis and Danny team up to take down the vicious murderer who may also be responsible for Linda’s death. Also, Frank finally meets Eddie’s mother, Lena (Christine Ebersole), and Jamie and Erin are at odds after Jamie seeks her help charging a man who confessed to him while under the influence, on BLUE BLOODS, Friday, April 12 (10:00-11:00 PM, ET/PT) on the CBS Television Network. "Common Enemies" -- After someone breaks into Luis Delgado's (Lou Diamond Phillips) home and kills his wife, Luis and Danny team up to take down the vicious murderer who may also be responsible for Linda's death. 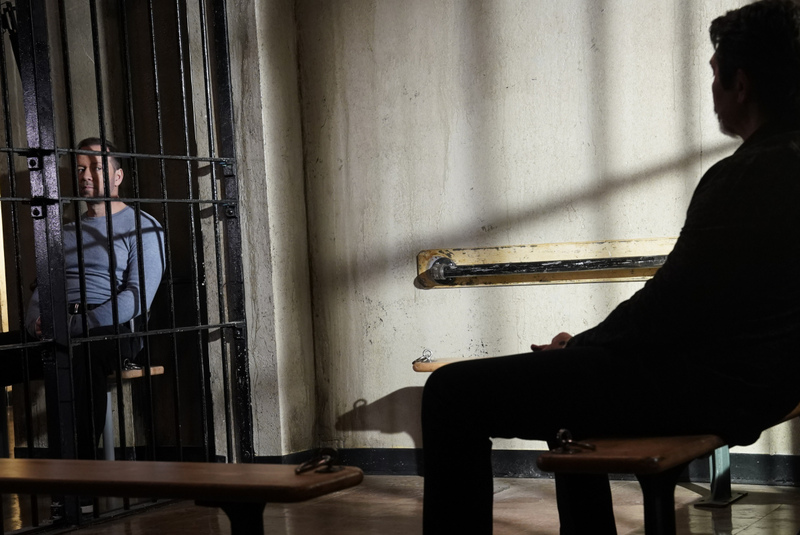 Also, Frank finally meets Eddie's mother, Lena (Christine Ebersole), and Jamie and Erin are at odds after Jamie seeks her help charging a man who confessed to him while under the influence, on BLUE BLOODS, Friday, April 12 (10:00-11:00 PM, ET/PT) on the CBS Television Network. Pictured: Donnie Wahlberg as Det. Danny Reagan, Lou Diamond Phillips as Luis Delgado. Photo: John Paul Filo/CBS ÃÂ©2019CBS Broadcasting Inc. All Rights Reserved. Recurring cast appearing in “Common Enemies” includes Andrew Terraciano (Sean Reagan), Abigail Hawk (Abigail Baker), Gregory Jbara (Garrett Moore), Robert Clohessy (Lt. Gormley), Steven Schirripa (Anthony Abetamarco), and Lou Diamond Phillips (Luis Delgado). Additional guest stars include Christine Ebersole (Lena Janko), Callie Thorne (Maggie Gibson), Dale Pavinski (DEA Agent Wise), Laura Dooling (Brianna), Danny Trejo (Jose Rojas “The Clam”), Isabel Santiago (Isabel Delgado), Jeter Rivera (Carlos), Victor Rivera (Mateo), Brandon J. Shaw (Eddie’s Partner), Lauren Hodges (Ashley Durke), Ryan Cooper (Mark Sanzo), Joe O’Connor (Officer Malone), Craig Geraghty (Doorman Stanley Lemcov), Jared Morrison Smith (Collins), Brien R. Drew (Bartender), Carolyn Mignini (Anna Goodstein), Matt Consalvo (NYPD Uniform), Madison Hall (Stephen Campbell’s Girlfriend), and Kristina Bartlett (Santini).